One 14 karat yellow gold ring. 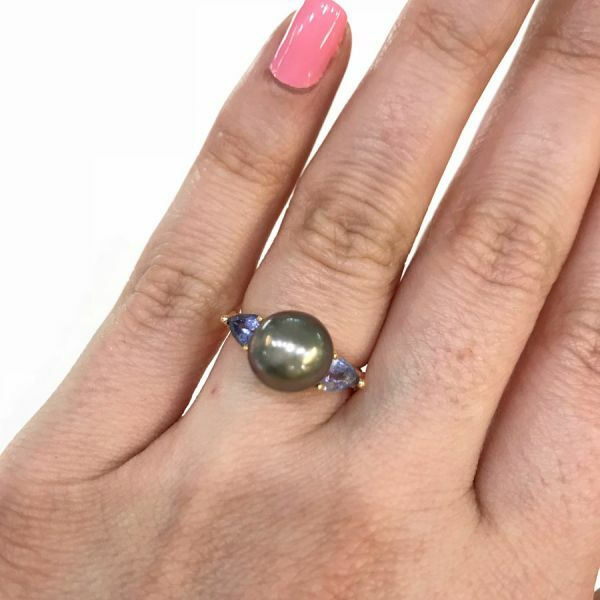 One black tahitian pearl with good luster and colour distribution. Two pear facetted tanzanite (1.04 carats).